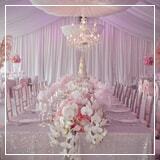 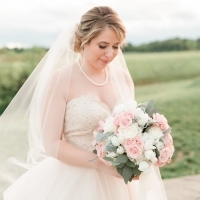 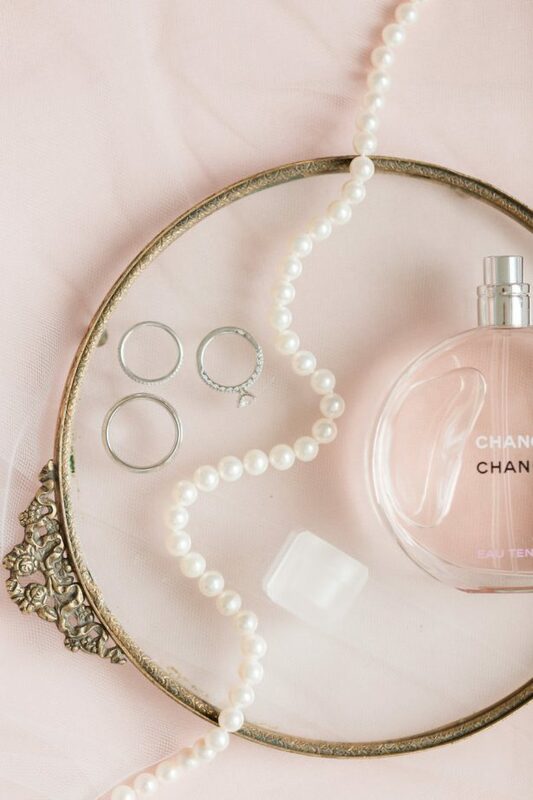 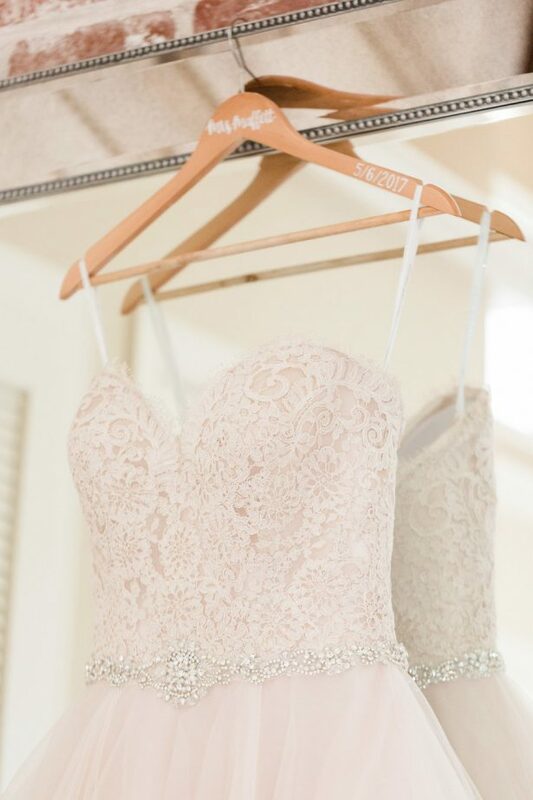 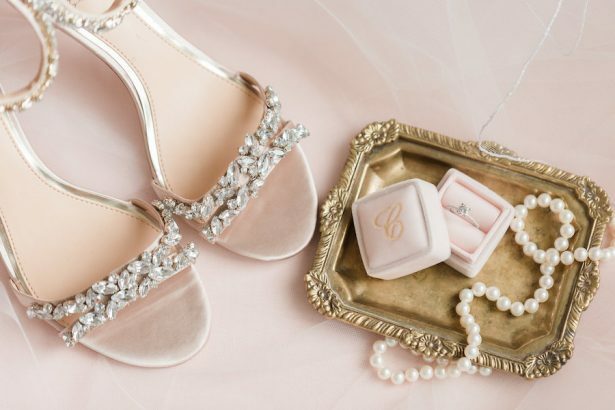 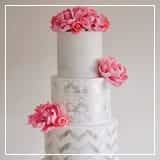 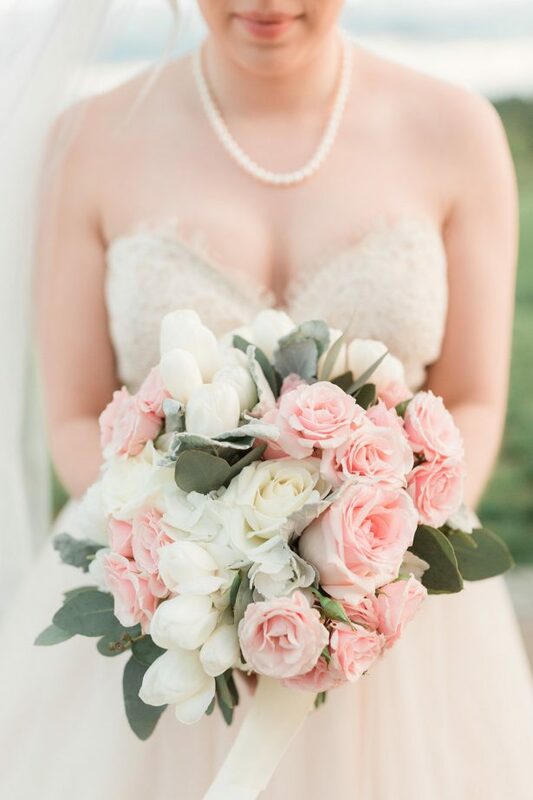 This Bride’s wedding day style is soft, delicate, and feminine – and we’re in love. 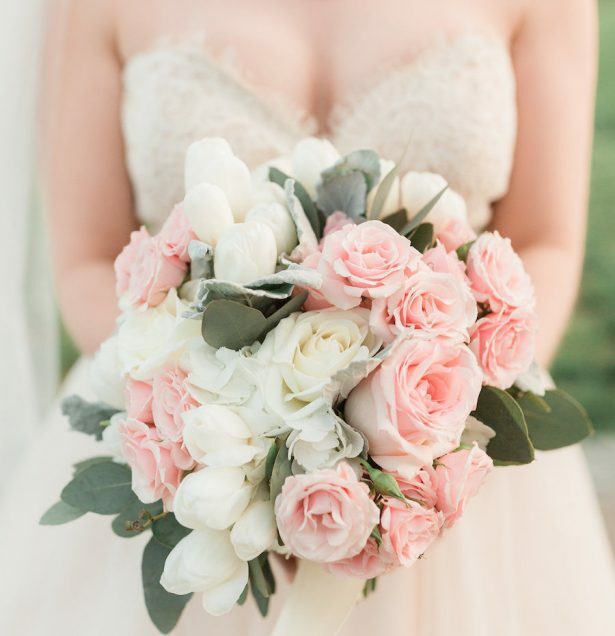 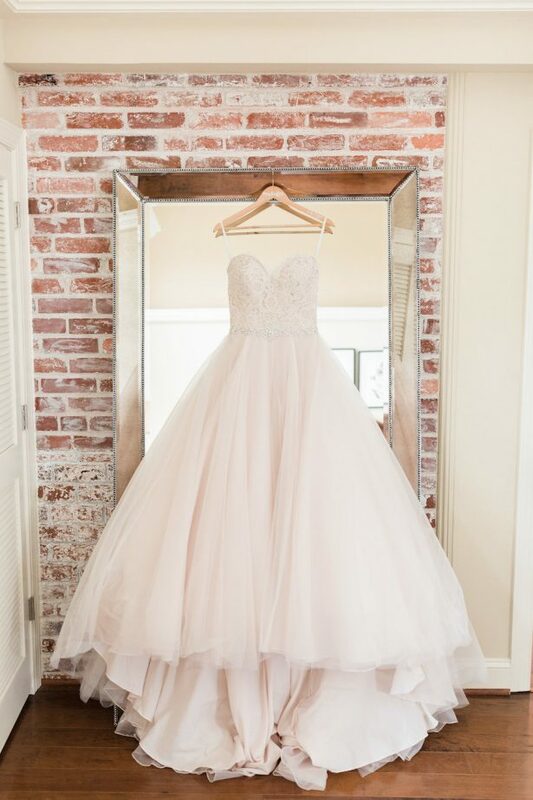 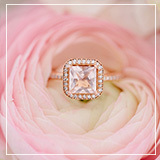 She donned a gorgeous blush ball gown with a striking sweetheart neckline by Allure Romance and it was straight out of a fairytale. 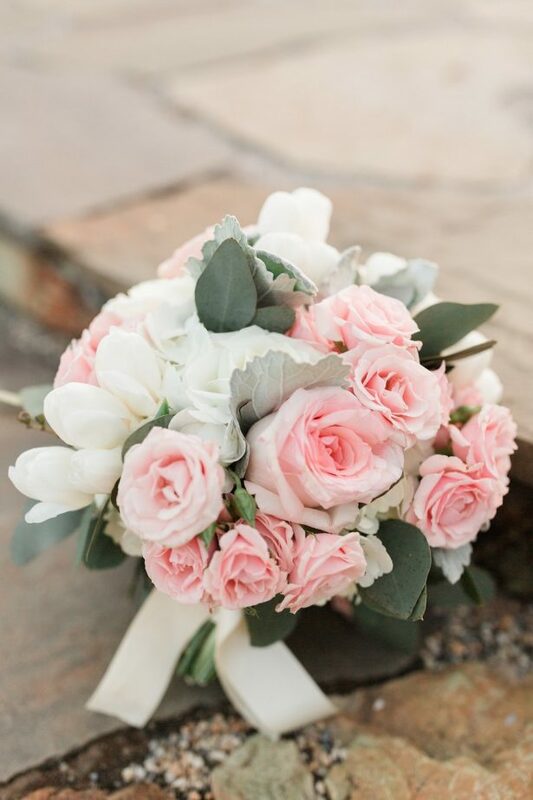 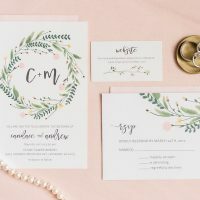 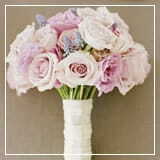 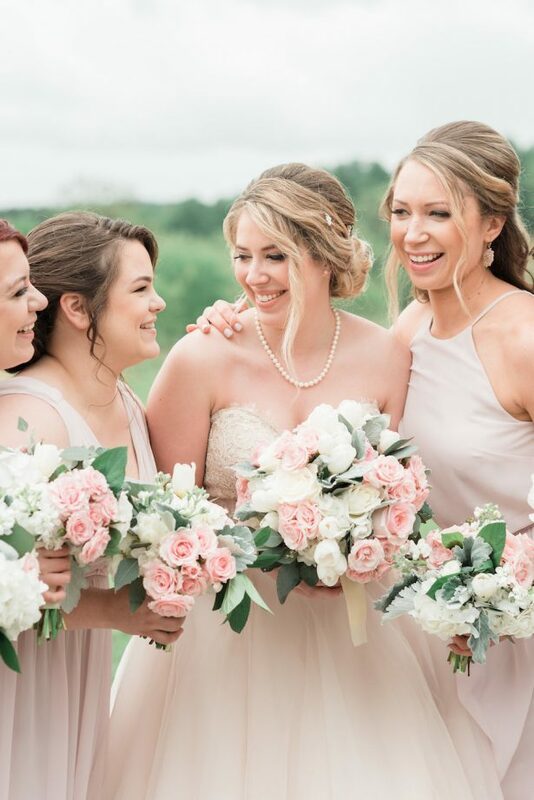 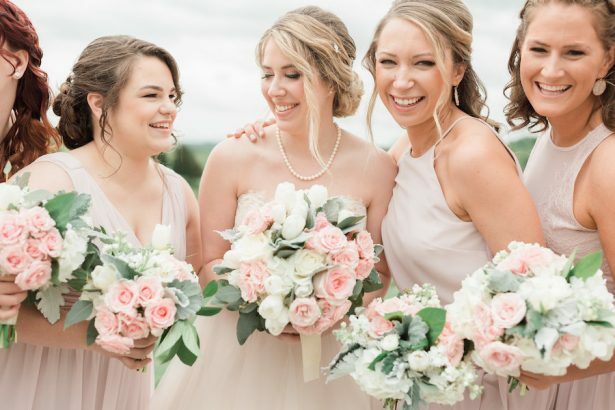 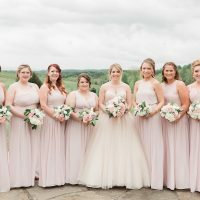 The pretty pink roses bouquets looked exquisite paired with the mismatched blush bridesmaid dresses, while the groom and his groomsman rocked some trendy navy blue suits for a wedding party look that feels current, yet timeless. 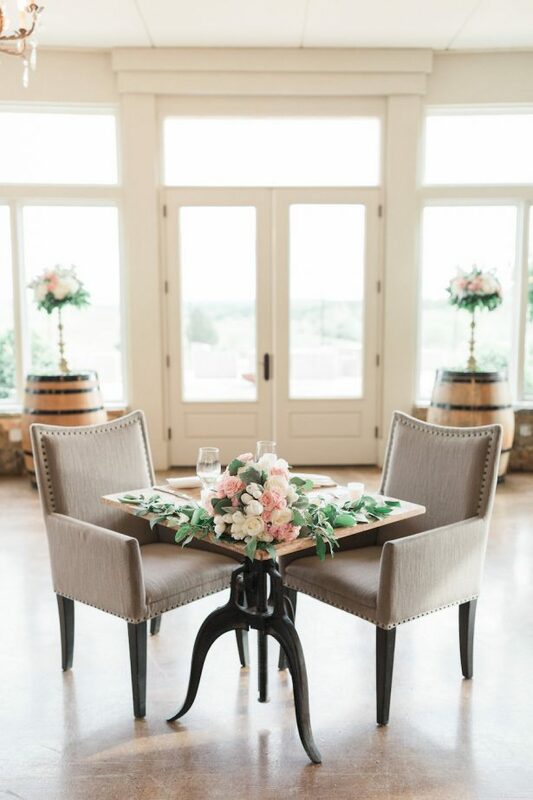 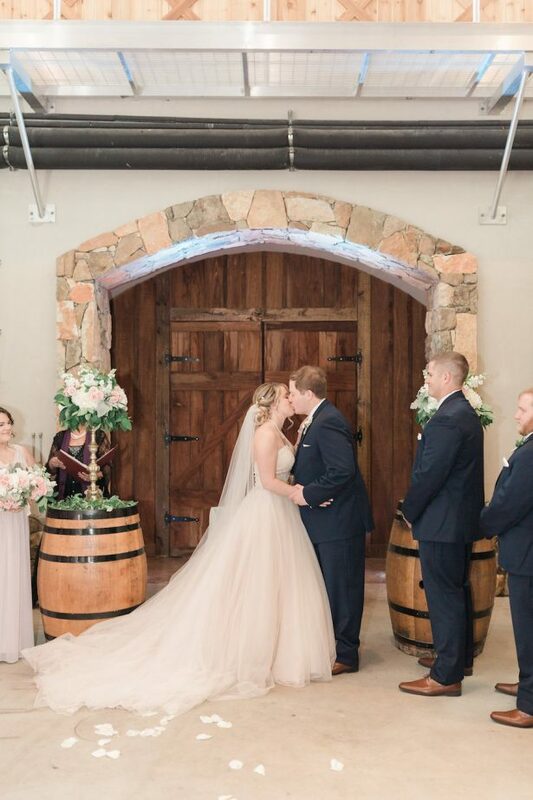 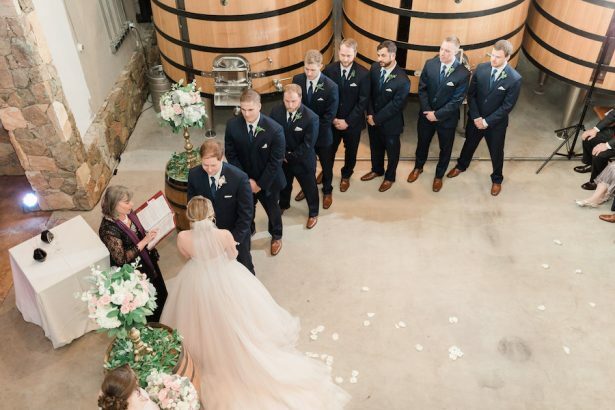 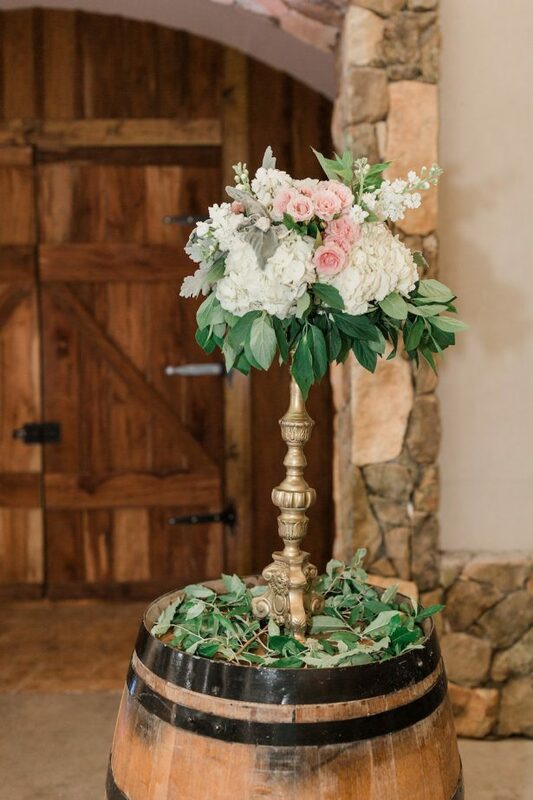 Classic florals and barrels adorned the venue to create an Elegant Blush Winery Wedding that will stand the test of time. 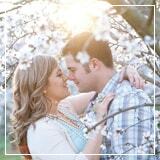 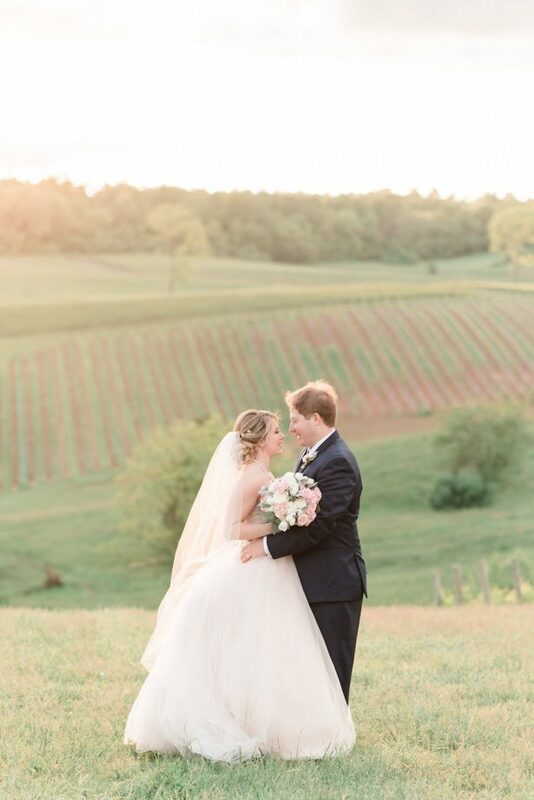 Alicia Lacey Photography captured this sweet summer day, so scroll on to see some of our favorite moments! 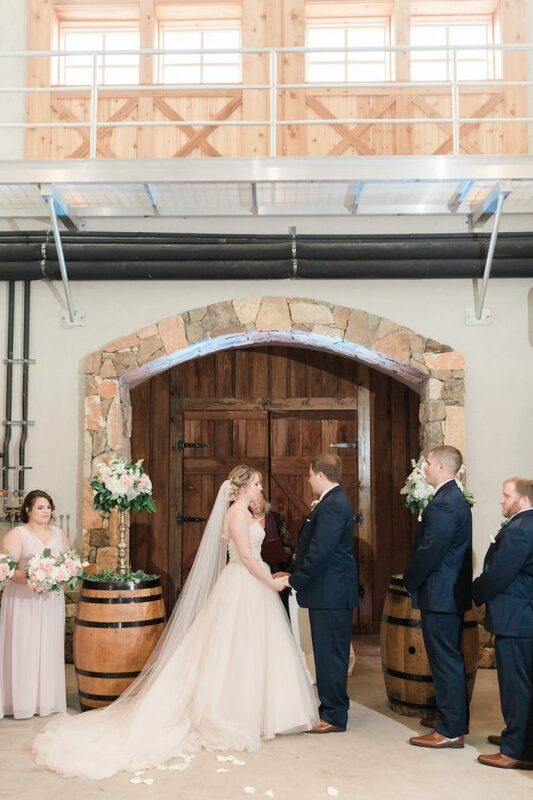 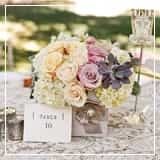 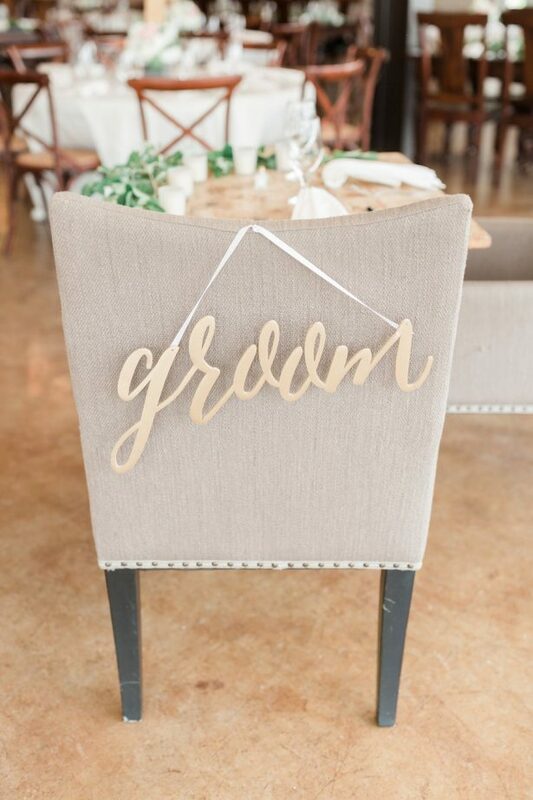 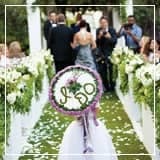 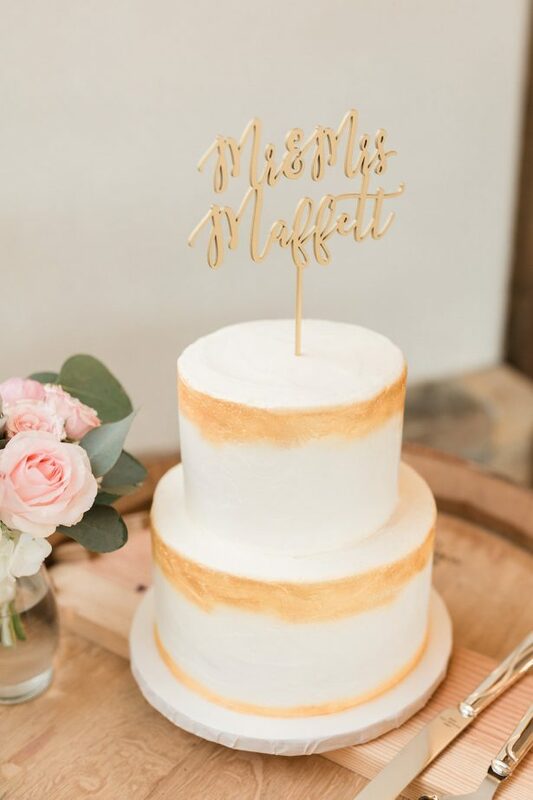 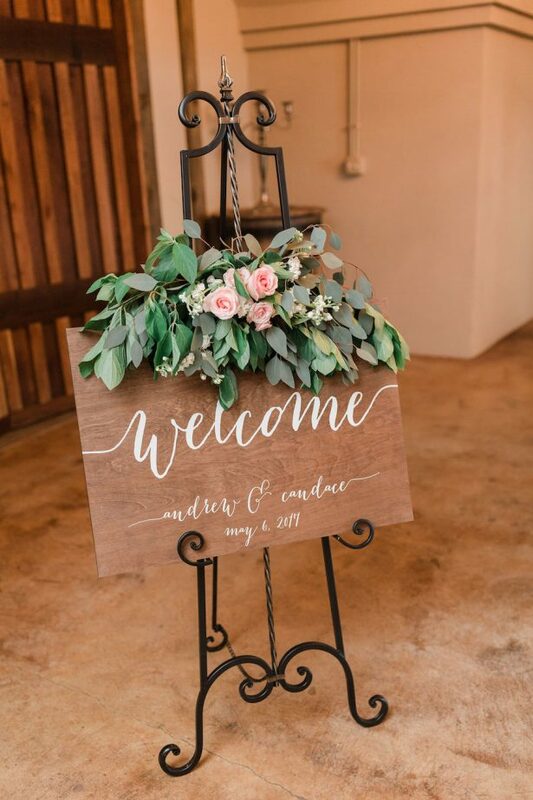 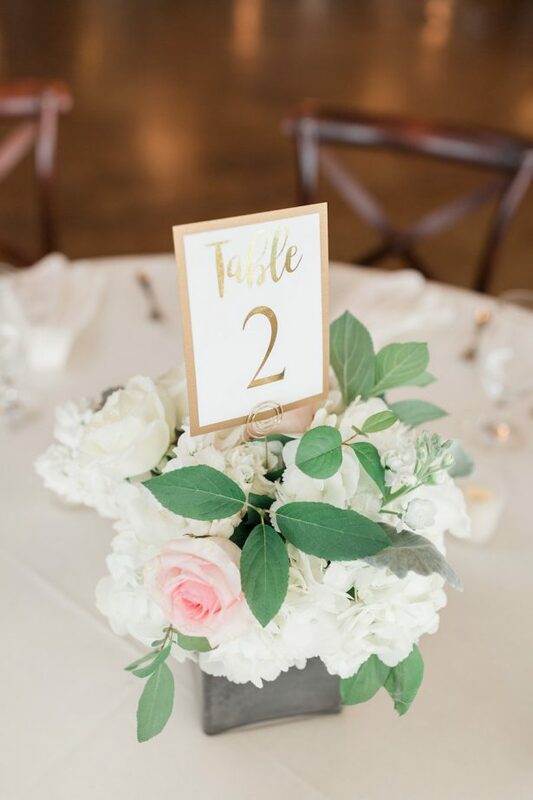 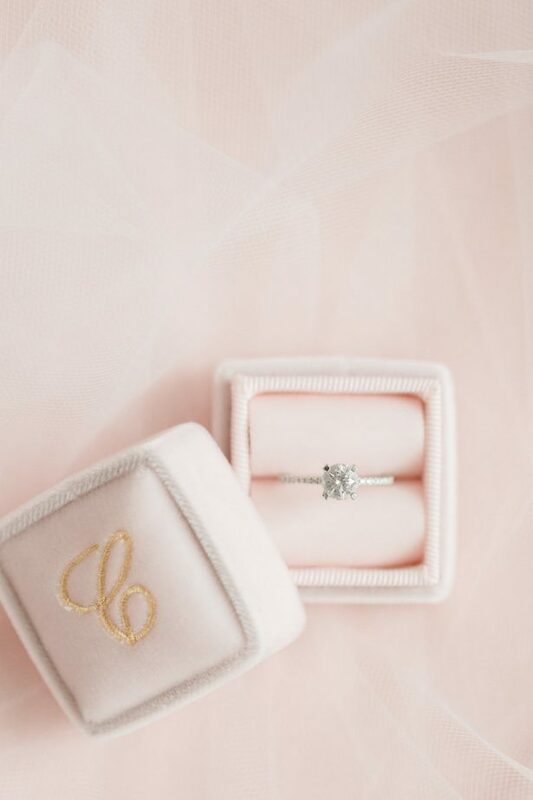 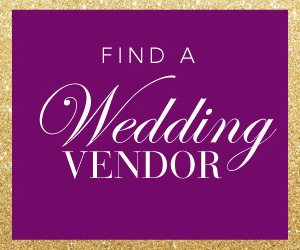 And then, head over to THE FULL GALLERY where you can find unexpected pretty little details, like a popcorn bar and signature cocktails named after the bride and groom’s pets. 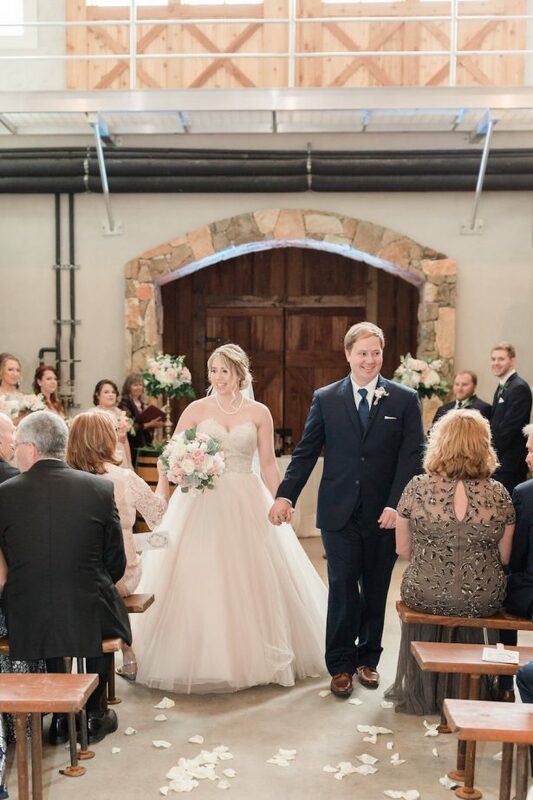 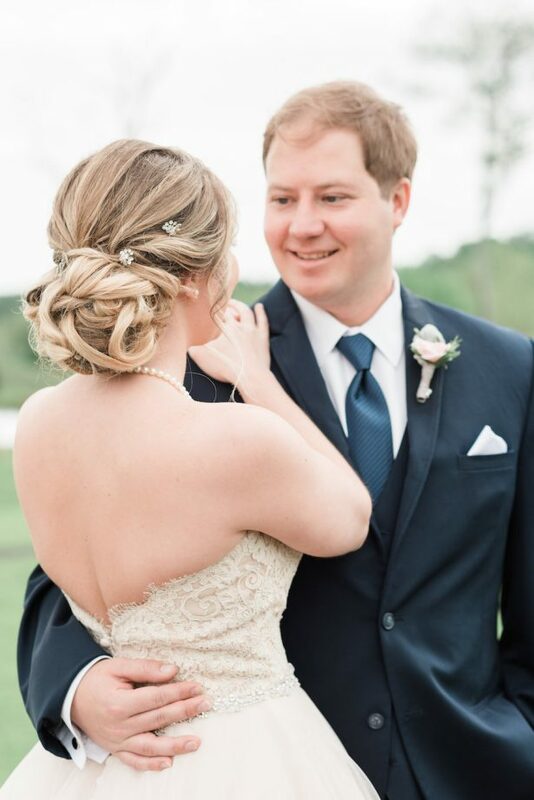 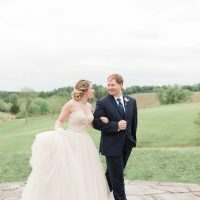 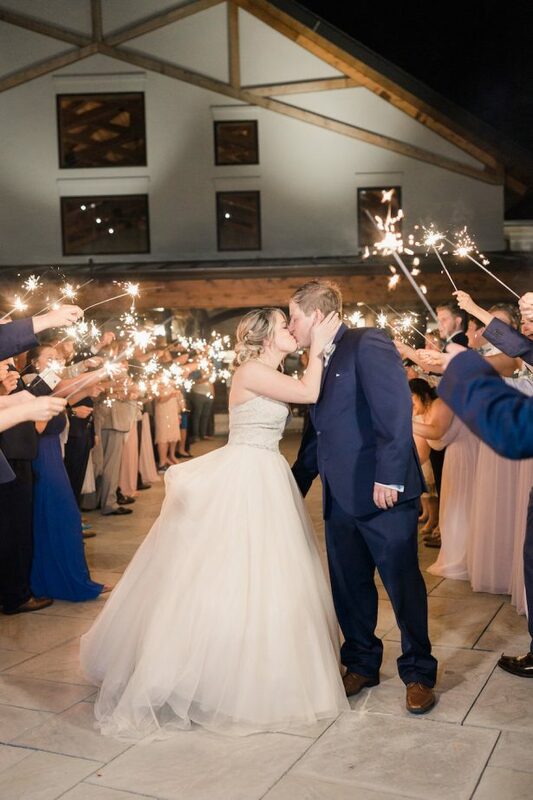 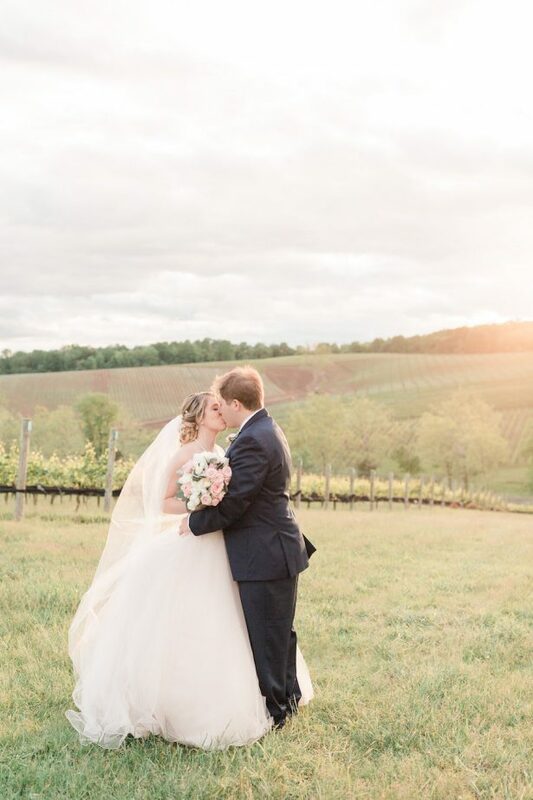 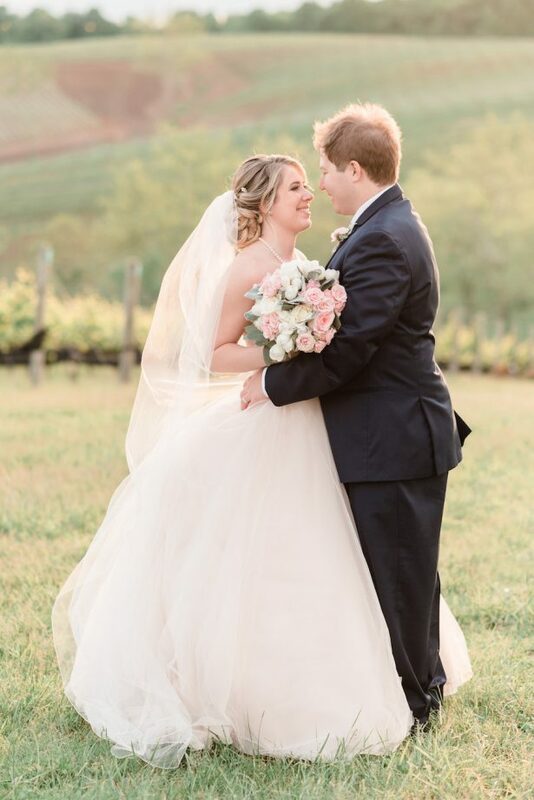 From the Photographer… “Candace and Andrew were married in a lovely Stone Tower Winery wedding this May surrounded by all of their loved ones from near and far. 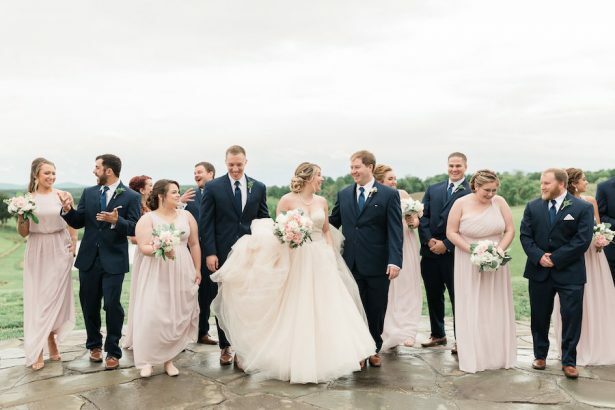 One of my favorite parts of every wedding day is seeing all the love and support from the two families as a couple begins their lifelong journey. 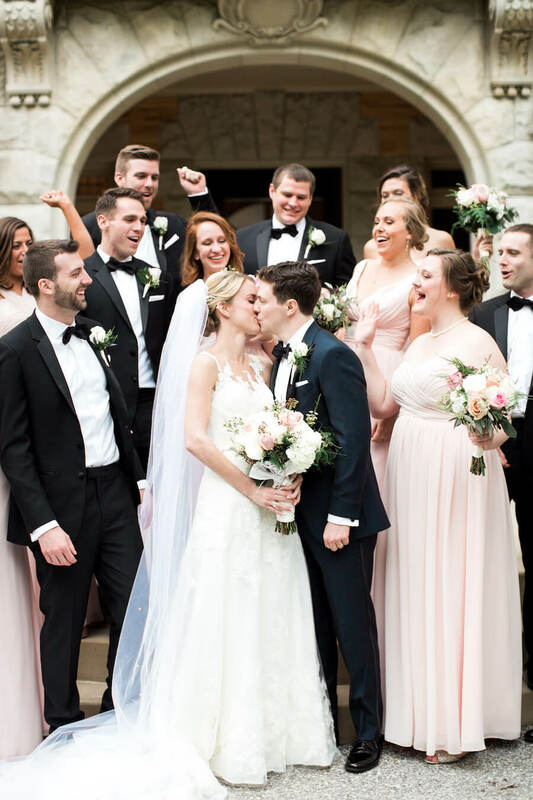 This was certainly no exception for Candance and Andrew’s wedding; in fact, they both come from large families and were blending four different groups into one! 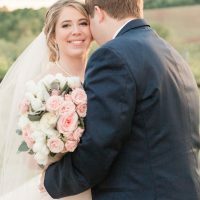 The unity between everyone involved was incredible and I can’t even describe the outpouring of love from each and every side. 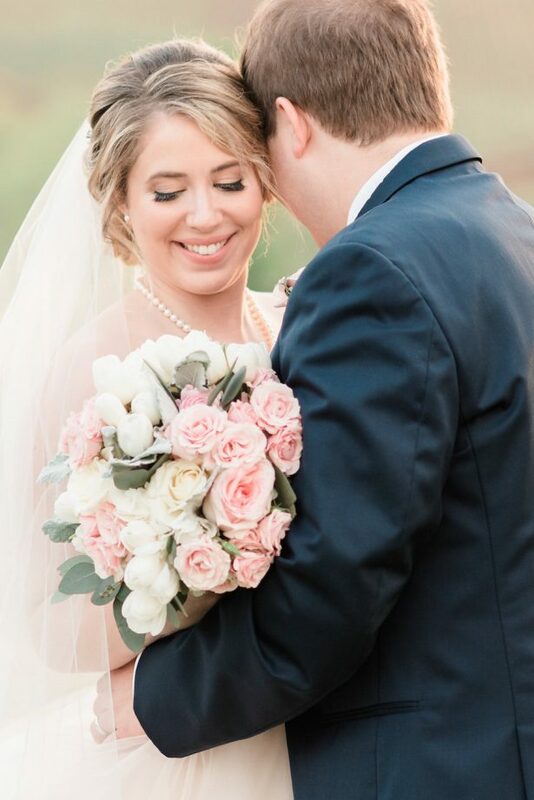 These two are very lucky for large foundation on which they will build the love, knowing they have so many people to hold them up along the way.